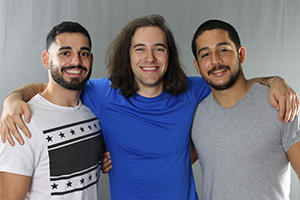 The new Delray Beach location is home to three dynamic young men – Daniel Kay, 27, Chaim Romano, 28, and Benjamin Scheiner, 26 – who, in addition to their full-time jobs, are creating Jewish life opportunities by hosting weekly programs for hundreds of Jewish adults in their 20s. Kay was born in Philadelphia and moved to South Florida with his family when he was six years old. He enjoys leading the services at family dinners during Shabbat, and brings that same passion to his Moishe House programs. Romano grew up in Boca Raton. After graduating from Florida Atlantic University with a bachelor’s in mathematics in 2013, he worked as the vice president of a mixed martial arts promotion company. Scheiner just returned to his home state of Florida after graduating from Yeshiva University with a bachelor’s in philosophy and political science. 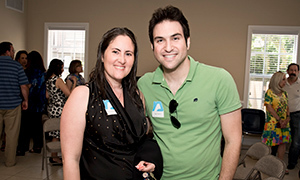 He works as a digital video consultant and is proud to be a founding member of Moishe House South Palm Beach. “As young adults, it’s so important for us to be involved in the Jewish community, as we continue to strengthen our Jewish identity,” said Sarah Lippy, Federation’s Young Adult Division Chair. “We look forward to partnering with Moishe House on social action projects and other valuable activities. It’s a great opportunity for all of us to expand our networks, engage our peers and reach even more young people.” Keep up with YAD at facebook.com/YoungAdultDivision, or contact lianak@bocafed.org or 561.852.5015. Moishe House is a program for young Jewish adults that creates meaningful, welcoming communities for themselves and their peers in a post-college world. Three to five 20-something residents live together and host ongoing events for their peers. Each year, the 100+ Moishe Houses around the globe hold more than 6,500+ programs for 37,000+ unique participants. It welcomes people from all Jewish backgrounds and is supported by organizations, individuals and the young adult participants themselves. Since its founding in Oakland 11 years ago, Moishe House has filled a gap for peer-led young adult engagement that young adults have craved. Some of these programs include Shabbat dinners, barbecues, and volunteering at the local homeless shelter. 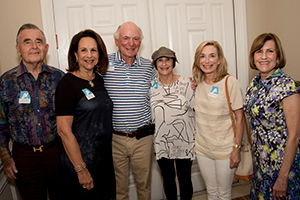 Moishe House South Palm Beach intends to create a strong intentional community that welcomes new community members to every program. Learn more at moishehouse.org.